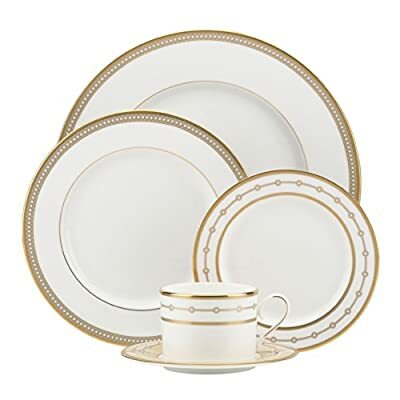 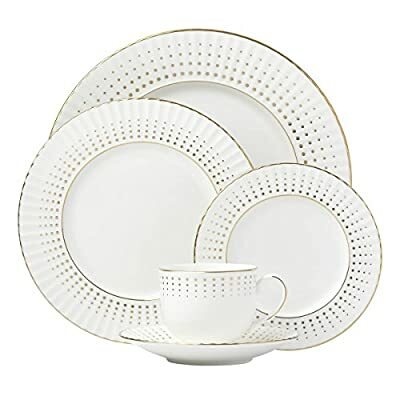 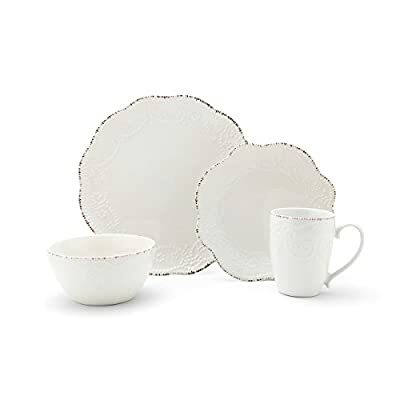 The Gibson Elite Clementine 12-piece dinnerware has a striking two tone color pattern (available in red/white, blue/white, yellow/white, and grey/white) that brings a contemporary elegance to any table. 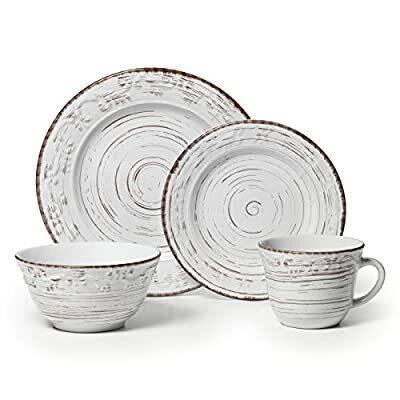 It features a beautiful speckled reactive glaze interior and is made of durable, dishwasher and microwave safe stoneware. 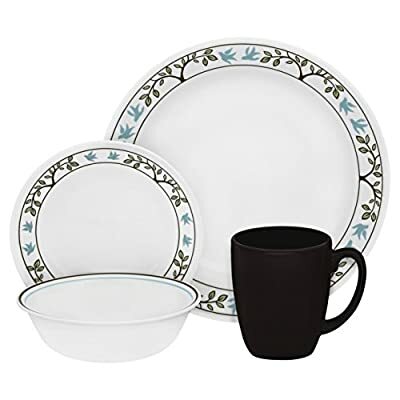 NO HOUSEHOLD SHOULD BE WITHOUT A GREAT QUALITY SET OF PLATES! 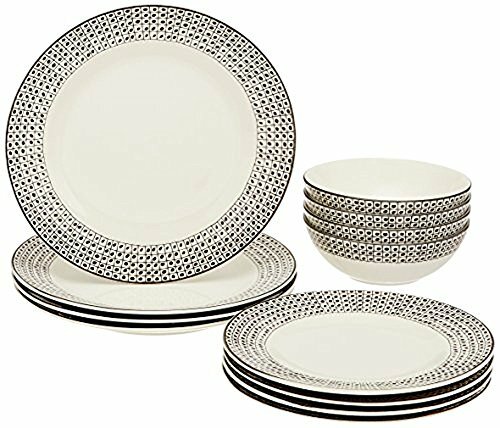 A high-quality, durable set of plates is literally the first thing someone needs when they enter a new house; okay, maybe right after the bed! 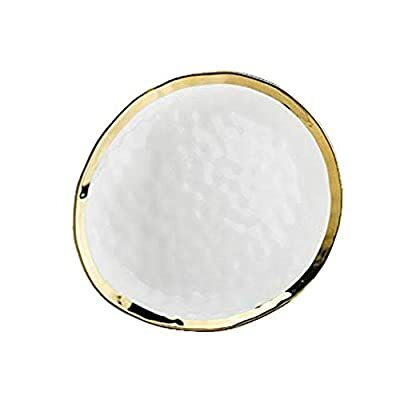 Seriously though, this excellent set of white/gold ceramic plates is a must-have essential for any kitchen cabinet and meal table! 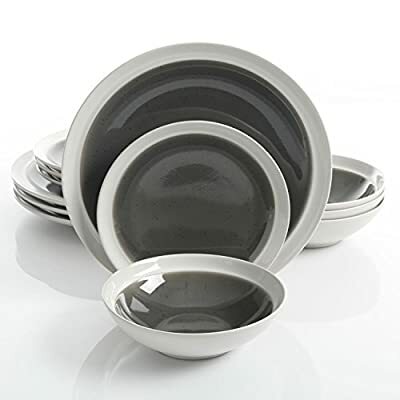 4 CERAMIC PLATES FOR YOUR SERVING NEEDS ONLY! 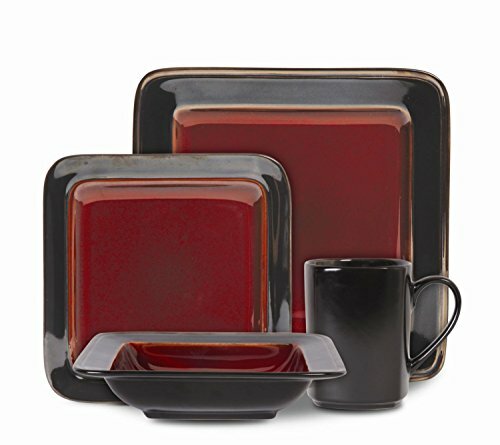 Salads? 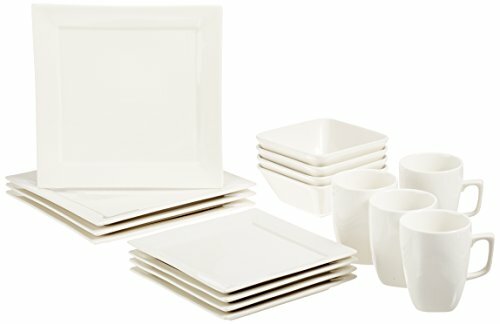 Appetizers? 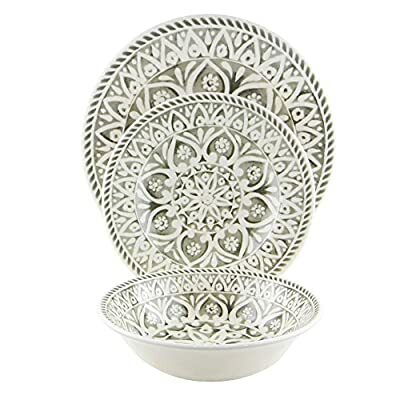 Amusebouches? 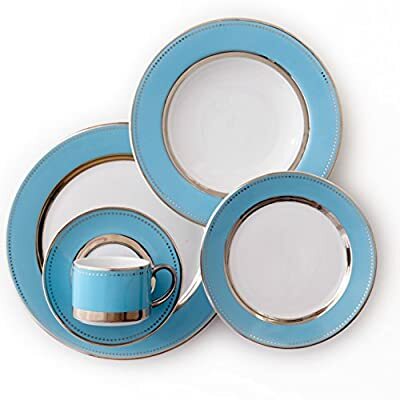 It doesn’t really matter since our kitchen plate (10 x 10 x 5/8 inches) set will allow you to serve just the portion you want to your guests, friends, or customers! 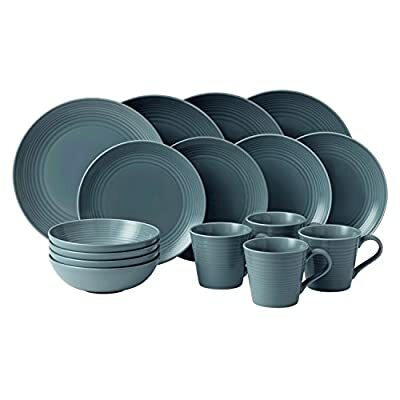 GREAT TO LOOK AT & SUPER DURABLE! 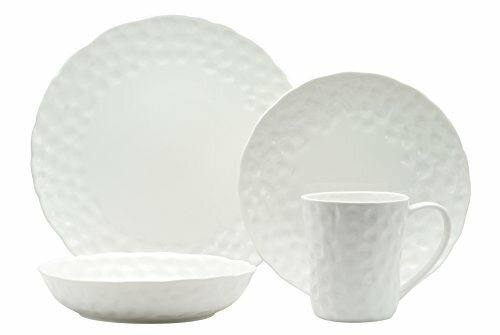 Forget about scratch-prone dishware and enjoy your meals with a ceramic plate set that’s scratch-resistant, stain-resistant, and extremely durable, because it’s made of premium quality porcelain! 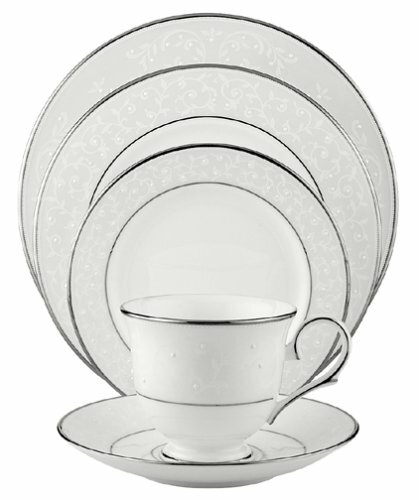 Plus, the special bone china design makes them a great piece of conversation for your guests! 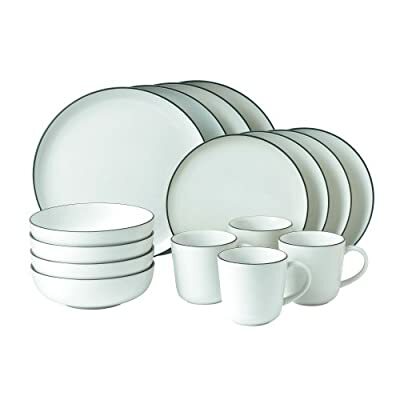 16 Piece Dinnerware Set By Gibson Home. 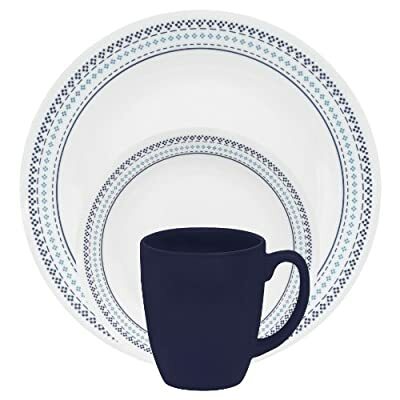 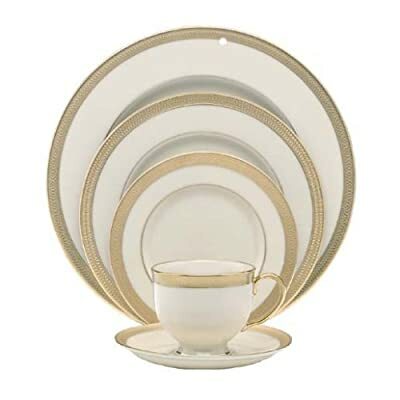 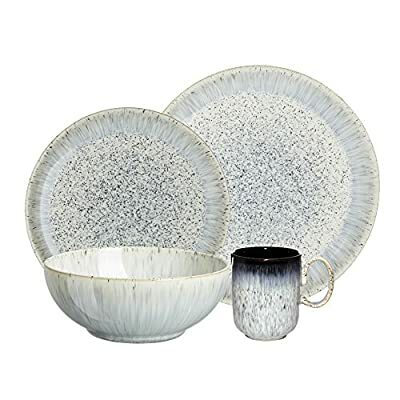 This Soho Lounge Square Dinnerware Set Is an Excellent Choice for Modern Family. 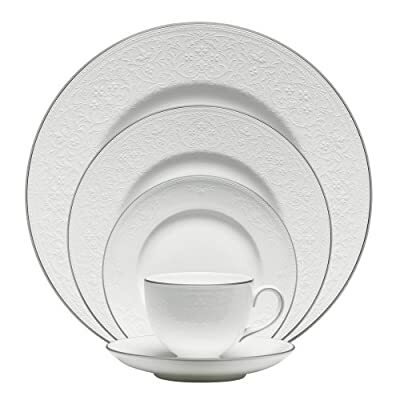 It’s Simple, Yet Elegant, Just Like Restaurant Dinnerware. 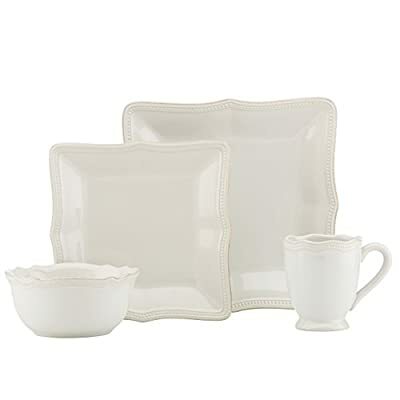 SERVE YOUR GUESTS IN STYLE! 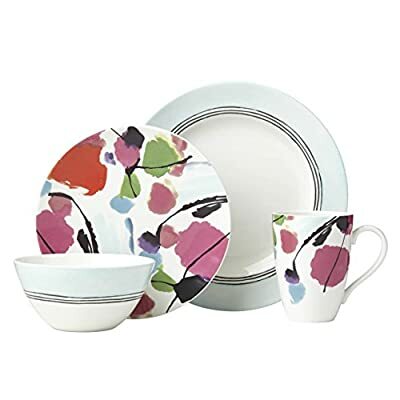 This collection is great for special occasions as well as everyday use. 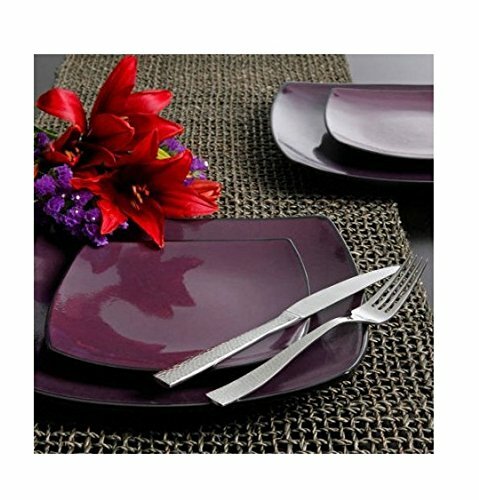 Each piece in this set has an glossy design that will add to the decor of any modern dining room. 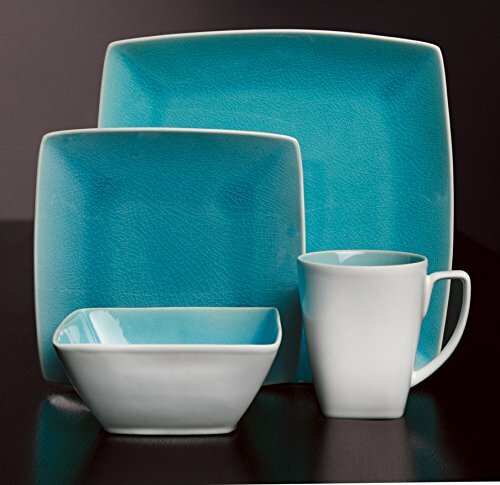 TWO-TONE REACTIVE GLAZES add an extra touch of elegance and uniqueness to the appearance of the set.